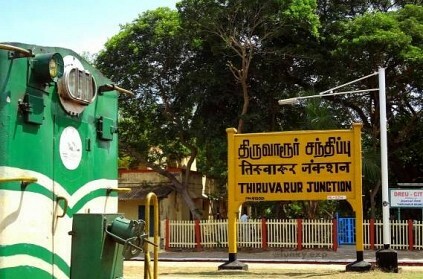 According to reports, the election commission cancelled the upcoming Thiruvarur bye-poll elections due to Cyclone Gaja relief works. The Election Commission announced a week ago that the bye-elections in the Thiruvarur assembly constituency are scheduled to be held on January 28. However, two days ago, all the political parties in Tamil Nadu requested to postpone the elections as relief and rehabilitation work after Cyclone Gaja was still underway in the district. "நான் இடைத்தேர்தலை சந்திக்க தயார்"...கமல் அறிவிப்பால் பரபரப்பு! ஒரே நாடு..ஒரே தேர்தலுக்கான மசோதா விரைவில் ! வாக்காளர் பட்டியலில் சன்னி லியோன் மற்றும் மான்,புறா படங்கள்..தேர்தல் ஆணையம் அதிர்ச்சி ! ஜிம்பாப்வே அதிபரின் வெற்றிக்கு 'தேர்தல் ஆணையத்தின்' முறைகேடு காரணமா? This page contains news relating to various facts and events. The views are generally about current affiars and general topics in diversified areas such as political, international, national, and regional issues, sports, health, travel, lifestyle, technology and business. People having similar interets on the above topics will find this page useful. EC - Cyclone Gaja relief works result in cancellation of bye-polls | Tamil Nadu News.